Ever walked into a store and seen huge, colorful signs emblazoned with salesy words like, “GOING OUT OF BUSINESS SALE” and “EVERYTHING IS 75% OFF”? Or what about one selling seasonal/holiday items for half off or more after the season or holiday has ended? Both of these stores are advertising what is called closeout merchandise. Closeout merchandise is merchandise that companies are attempting to sell very quickly so that they can make room for new products. 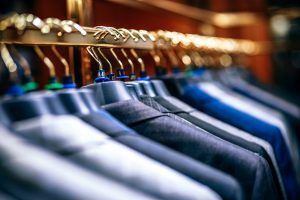 Closeout merchandise is a very popular avenue for resellers because they can get high-quality products for a fraction of what they would normally cost –– which could mean big returns. However, entrepreneurs who choose to make money in this way should proceed with caution. If you neglect to do your research, you could end up acquiring some poor quality merchandise which could have damaged goods. With this guide, we can put you on the right path to help you get started in buying closeouts. Obviously, it isn’t wise to plunge into this (or anything else for that matter) without some idea of how you are going to execute it. Herein lies the game plan. You need to narrow down what types of merchandise you are going to focus on selling and hone in on the strategy that you will use to acquire and sell it. What platform will I use to sell my merchandise on? Some examples could be Ebay or Amazon. How will you pay for your closeouts? What types of products will you buy? What niche will you choose to market in? How will you sell your closeouts? How will you advertise them? Where will you store your closeout merchandise once you purchase it? By answering these questions, and coming up with some of your own, your plan will save you time and money that you would have otherwise wasted. *Side note: You will likely need to have a resale permit before you can begin reselling closeout merchandise. A quick check with your local government agency will point you in the right direction of obtaining one. Before you can get started reselling closeout merchandise, you will need to find closeout suppliers and choose the one you are going to stick with. Classified ads – check on Craigslist or your local classified ads section in the newspaper. Online – do a quick Google search for closeout liquidator sites. Outlets – browse major outlets who specialize in selling closeout merchandise like Ross and TJMaxx. Inquire about new merchandise when it comes in. Before deciding on a supplier, do your due diligence by finding out as much as you can about them. Check for references and, if you can, check them out in person if you are going local. Start off with a small purchase to gauge the buying process with them and if you like their professional attitude. Lastly, make sure you get everything in writing so you are protected on your end and make sure you understand any and all terms with working with them. Starting a reselling business with closeout merchandise can be both exciting and profitable if you take your time to do your research and utilize the game plan you have in place. You don’t want to plunge headfirst if you lack the experience or knowledge to get started since you can easily lose a lot of time and money. However, if you have done everything in this guide properly, then you can be well on your way to becoming successful in the reselling business world.